At your work, you can’t afford distractions. You have a strategy and a plan for how you want your day to go; things have to get done and you don’t have time to lose! But, when a fire alarm and a sprinkler system go off, it doesn’t matter what you are doing, you have to leave the building. Office fires are not to be ignored. Fire incidents should be taken seriously always, even if the alarms are for drill purposes. Office fires can rack up thousands of dollars in damages and can cost even more money to settle injuries. Because of the severity of office fires, it is good to know what is flammable in your office. It is good to know this list of ten items that are flammable, because it might be able to reduce the likelihood of an office fire. This can be a huge benefit to you because you will be able to keep office fires from happening and stop the fire alarm system from disrupting your work day. Aerosol cans are very flammable due to the propane or butane used in the propellant. Because of this workplaces should be careful about where they put their aerosol cans. For instance, many places of business will have these types of items for cleaning. Aerosol cans can be placed throughout your office; for instance, as a deodorant can in the bathroom, a cleaning spray in the supply closet, and so many other places. If you have aerosols too close to something hot or that has the potential to heat, it can explode. Make sure that if your office has any aerosol cans that they are in a well-insulated, secure place. Drain cleaners contain chemicals that have the potential to be combustible. Because of this, if you have any cleaning products it is important to keep them far away from any ignition source. Office break rooms and kitchens are notorious for starting office fires. If you leave cleaner too close to a microwave for a stove, starting a fire is considerably easy to do. It is best to keep any cleaning solutions in a cabinet far away from anything that produces heat as a main function. Keeping cleaning products clear of ignitions will be the best way to make your office space a safer place. Cooking oil is extremely flammable and can spark off a major fire. Worse, because the source is oil, this type of fire is far more difficult to put out and causes much more damage. If you are cooking with oil or have a can of cooking oil in your office’s kitchen, you should make sure it is clear of any stoves or heat. Also, after cooking, you should make sure to clean up after yourself to ensure there is no oil residue left over. Gas is extremely flammable and is the culprit in many house and office fire incidents. If you have gasoline on your office property, you have to handle it with care. Make sure that you store it at ground level and away from any heat. Even if the gasoline isn’t opened or physically on a something, the vapors of the solution can still ignite a fire. Space heaters are one of the leading causes of office fires. It is easy to forget one is on and accidentally catch something on fire, such as a blanket, your pant leg, or the carpet. Most offices don’t allow space heaters in office buildings anymore because they are so flammable. Because of this, most workers have to rely on the warmth of their jackets or a work blanket to stay warm. Styrofoam is highly flammable and is prohibited as being used for insulation. However, in offices, styrofoam can be used for many other things, such as food store, packing materials, and so much more. Because of this, styrofoam can easily catch fire and cause countless accidents. If you have to have styrofoam in your office, due to a service you provide, make sure you use it, store it, and dispose of it carefully. 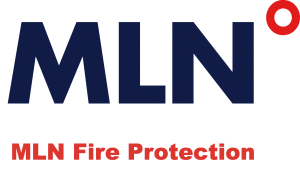 At MLN Fire, we take fire safety very seriously. 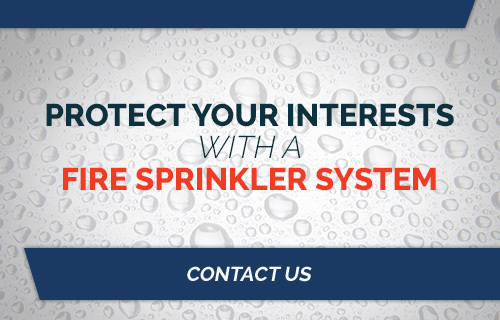 We have fire sprinkler contractors that can help you install your fire sprinkler system in your office buildings. Because fire can be so destructive, it only makes sense to have a high-quality fire suppression in place. Keep your interests and your office employees safe with a fire sprinkler system. Contact us today for more information.